Shut The Fridge: Anticlimactic Much? I left the house on Monday with an admonition from Rainman to try to be as offensive as possible when asked questions for jury duty. He was worried about how we could handle the rest of our week, when he went back to work, if I was actually chosen for a jury. My response to him was that I couldn't lie very well. He laughingly agreed with me. I didn't plan to even try to lie, so we would have to see what happened. And now, rather anticlimactically......I am done with jury duty. One day. Actually, half a day. I didn't get called to serve. We are just sat or stood around and waited. I was able to completely read one book and get through about chapter 5 on a skinny little Bible study book. If the chairs in the jury room wouldn't have been so uncomfortable, it would have actually been a pretty good afternoon! I even saw somebody from my church at jury duty, and didn't even realize it. If we still lived in Minnesota, I would have expected to run into a few people that I knew, or that knew my mom, or a cousin, or someone whose wedding I sang at, or someone I went to high school with while serving my jury duty. But, here in Georgia, I am used to being a stranger. I am used to not knowing anyone when we go places. A completely foreign concept in Minnesota. Monday night, my friend posted about a parking ticket she had gotten while being on jury duty and I realized that maybe I am more connected down here now than I thought. It actually was her that I saw and not just a look alike. Anyway.......I was actually a little disappointed when the clerk got on her little microphone and announced at the end of our day, that we had picked a good week to be called because we were being excused for the week. That was it. The case had "fallen apart" and we were done. Done. Nobody got called back to be considered for a jury. Truly, all 200 or so of us, just sat around, paced, or struck up awkward conversations with people next to us. A few folks talked on their phones and complained about having to be stuck in the room with us fellow jurors. My friend, Jessica, had given me this book a few years ago. Yes, I said years. I had tried to read it when she first gave it to me and didn't (couldn't) get past the Introduction section. It is a story of foster care. My parents were foster parents for, I don't know, 25 or 30 years. We always had extra kids around. Always. Sometimes, it was awesome. Sometimes, it was weird. Sometimes, when they arrived with cool toys or new Barbies, it was super fun. Sometimes, it was completely annoying. Sometimes, it was confusing and scary. Sometimes I would overhear my mom and the social worker talking about things that the kids had heard and couldn't really wrap my little mind around it. Sometimes it was just simple stuff like their parents were in the hospital and they really had no other family around to take them in....but, then there were the times where I learned that their parents were in jail. But, to me, a girl with parents who loved each other and us. Who had grandparents, aunts and uncles, and cousins galore around who could have and would have taken us in if needed....it was just a total foreign concept that these foster kids came from a completely different world than the one I lived in. My friend, Jessica, has been a foster mom, has adopted out of the foster system and she knows me and my heart for kids. But, when the introduction to the book talked about a foster child that had been sexually abused at the age of 4....I just couldn't go on reading. It made me sick. So, I just set the book on my nightstand...let stuff pile up all around and on top of it....and went on with my life. For years. When I decluttered, I could never bring myself to get rid of it, because it wasn't just some random romance novel that a friend was done with and thought was pretty good. This was different. This was a book that she had said spoke to her and felt compelled to hand on to me. So, I turned to my bedside table and those little shoes on the cover were just sitting there waiting on me. I had forgotten why I had set this book aside years before, until I was trapped with this book at jury duty. I once again flipped to the Introduction and began to read. As I got to the part about things that a little girl had been asked/forced to do...I got that same stabbing pain in my belly and, if I would have been home, or had another book to read, I would have set that book down for another few years. Really. Even though parts of this book where hard to read, I am glad I finally did. 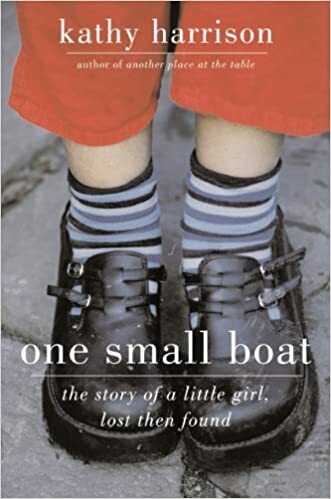 It is written by a foster mom and just tells the stories of some of the kids that have been through her home. The struggles of dealing with the constant transitions in and out, physically and mentally. The logistics of bath time and bed time. The mental stuff of dealing with kids that want to be loved, but have had horrible things done to them and around them, so they don't always act very lovable. How hard it is for the kids both biological and adopted that stay when everyone else leaves. Her stories reminded me of things I remembered from my own childhood and the extra kids that sometimes would just be there when I got home from school....or whose little faces would be strapped into the car when mom would pick us up from school. Sometimes we would get warning and be able to prepare when a new kid was coming....sometimes, we didn't. The switching around of beds and cots coming out of the closets. Lending clothes (sometimes grudgingly) to kids who were close in size to us. Kids who would refuse to wear certain clothing or not want to take baths. Kids who would talk back to my mom and dad....and us sitting there horrified.....because they seemed to get away with something we never could. I remembered the time when of one of my foster brothers got mad at my mom and yelling "buck you" after a weekend visit with his mom. I can still remember my mom getting mad, but, calmly washing his mouth out with soap and telling him we don't say words like that at our house. I remember sitting there at the kitchen table completely bewildered because I didn't understand what "buck you" meant or why my mom was so upset. I occasionally have thought about my mom and what she and dad would go through as foster parents, but most of the time, I filtered my memories through my eyes, as a sibling to these kids transitioning in and out of our family. Sometimes they lived with us for years. Sometimes it was just a day or two. Sometimes they would be gone for a few weeks or months and then come back to us for a few months. This book really had me thinking more and more about my parents. Probably because I am a parent now and filter the world that way. But, now I took a moment to think about what my mom and dad went through when they decided to be foster parents. I can vividly remember my mom crying when social services said that certain kids had to go back to parents, partly because my mom would miss them, but partly because she knew that they were not going back to a safe, loving home....something they had with us. I know my mom has kept in touch with various families of the kids we took in. Sometimes it is the kids (now adults) themselves, and sometimes it is grandmothers. Some kids' stories have had happy endings. Some have not. Some have ended up happily married with children of their own. Some have ended up in jail. 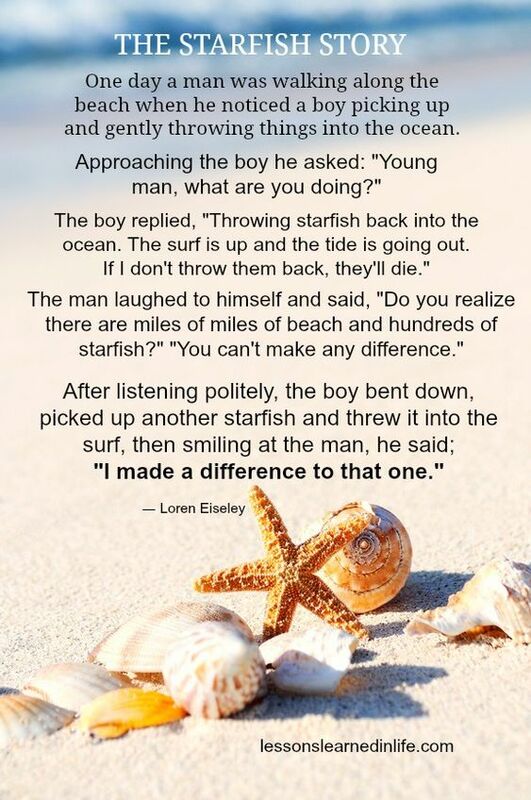 It reminds me of the starfish story. Know that one? I am not ready to make any big declarations about becoming a foster parent. But, I will admit that it has got me thinking....and I want Rainman to read the book. We will see if it takes him years too. Boy, I really got off topic from my jury duty, didn't I?! ?